These handy sized aromatherapy blends are presented in a selection box for you to choose from, whatever your mood. BREATHING SPACE – a quietly calming woody fragrance with a cleansing citrus top for a moment of mindfulness wherever you are. SWEET COMFORT – a sweet floral blend with the resinous warmth of a big hug for days when you are feeling a little fragile. 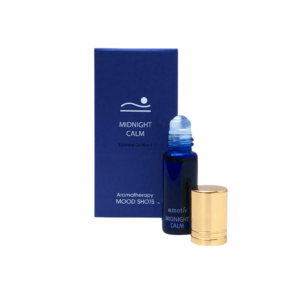 MIDNIGHT CALM – a soporific earthy nighttime blend to help quieten the mind ready for restful sleep. Roll onto pulse points such as your wrists and neck or the back of your hands. Breathe deeply, gather your resolve, and inhale the calming and comforting aroma. 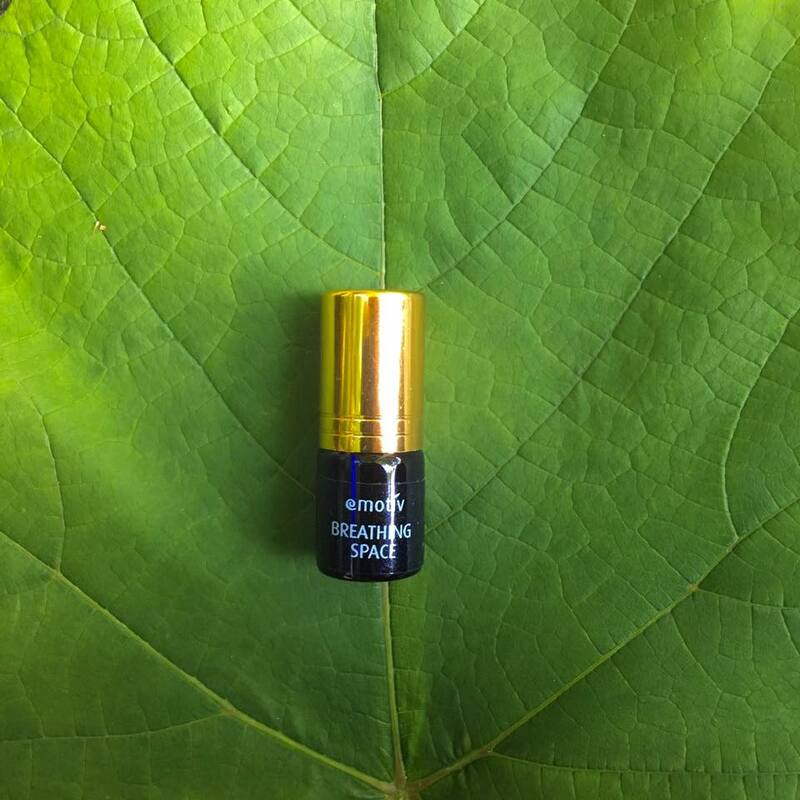 A calming collection of 3 x essential oil blends with a glide-on roller ball applicator (2.5ml). Freshly made in small batches in the UK. The pack includes a drawstring pouch for storage and travel. Breathing Space Ingredients: Caprylic/Capric Triglyceride (Fractionated Coconut Oil), Pelargonium Graveolens (Geranium) Leaf Oil, Boswellia Carterii (Frankincense) Oil, Citrus Bergamia (Bergamot) Peel Oil, Tocopherol, Vetiveria Zizanoides (Vetiver) Root Oil, Styrax Tonkinensis (Benzoin) Resin Extract, Citrus Limon (Lemon) Peel Oil, Helianthus Annuus (Sunflower) Oil,* d-Limonene, *Geraniol, *Linalool, *Citral, *Benzyl Cinnamate, *Benzyl Benzoate, *Citronellol. Sweet Comfort Ingredients: Caprylic/Capric Triglyceride (Fractionated Coconut Oil), Styrax Tonkinensis (Benzoin) Resin Extract, Cupressus Sempervirens (Cypress) Twig Oil, Citrus Aurantium (Neroli) Flower Oil, Tocopherol, Origanum Marjorana (Sweet Marjoram) Leaf Oil, Helianthus Annuus (Sunflower) Oil, Rosa Damascena (Rose) Flower Extract, *Benzyl Benzoate, *Linalool, *d-Limonene, *Benzyl Cinnamate, *Geraniol, *Farnesol, *Eugenol, *Citronellol. Midnight Calm Ingredients: Caprylic/Capric Triglyceride (Fractionated Coconut Oil), Lavandula Angustifolia (Lavender) Oil, Citrus Sinensis (Orange) Peel Oil, Tocopherol, Vetiveria Zizanoides (Vetiver) Root Oil, Anthemis Nobilis (Roman Chamomile) Flower Oil, Cananga Odorata (Ylang Ylang) Flower Oil, Valeriana Officinalis (Valerian) Root Oil, Helianthus Annuus (Sunflower) Oil, *Linalool, *Benzyl Benzoate, *d- Limonene, *Benzyl Alcohol, *Geraniol, *Benzyl Salicylate, *Farnesol, *Citronellol, *Eugenol, *Iso Eugenol, *Citral. *Naturally occuring in essential oils.